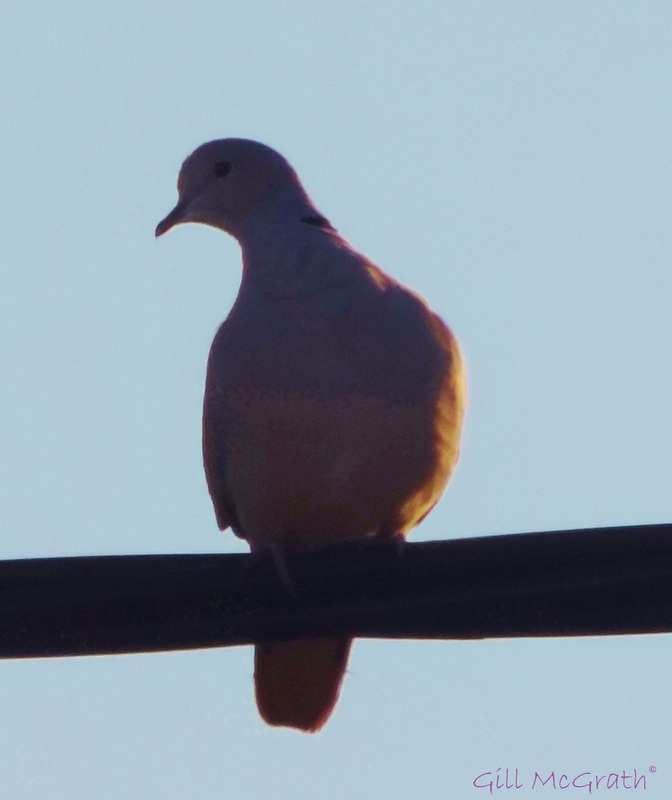 A dove catching a little bit of sun near the house today…. 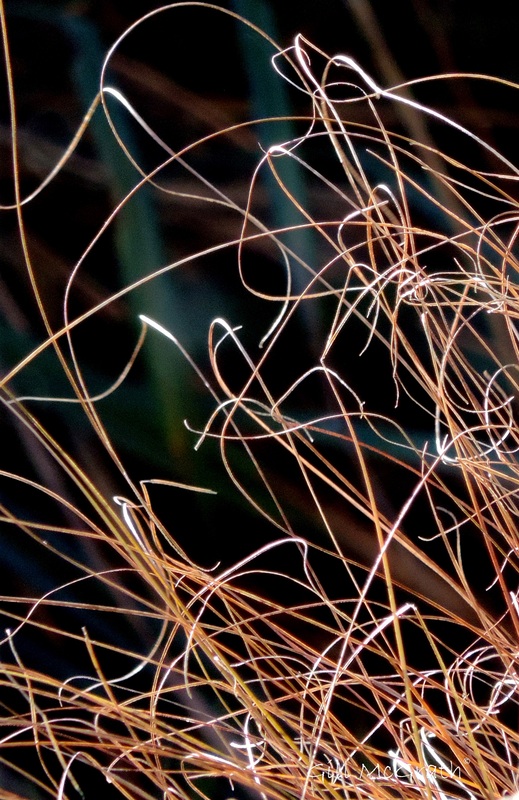 ….some ornamental grass, brown and leathery and waving in the wind has been identified, by him, as something useful. He was seen in the garden pulling it up today in the sun shine. Almost like spring! By 4 o’clock the birds were gathering in their latest favorite tree waiting for the evening sun, against the pastel sky. Yet by 4.30 the birds were gone. 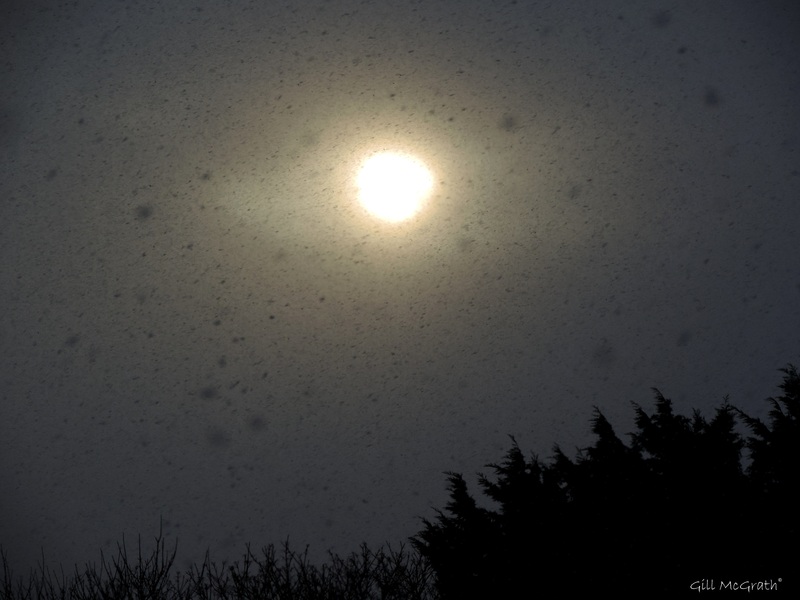 A quick flurry of snow came sweeping down switching off the sun now hiding behind the grey. Silence. And just as suddenly twenty minutes later the light was on again……… for a little bit. That sunset is absolutely perfect. 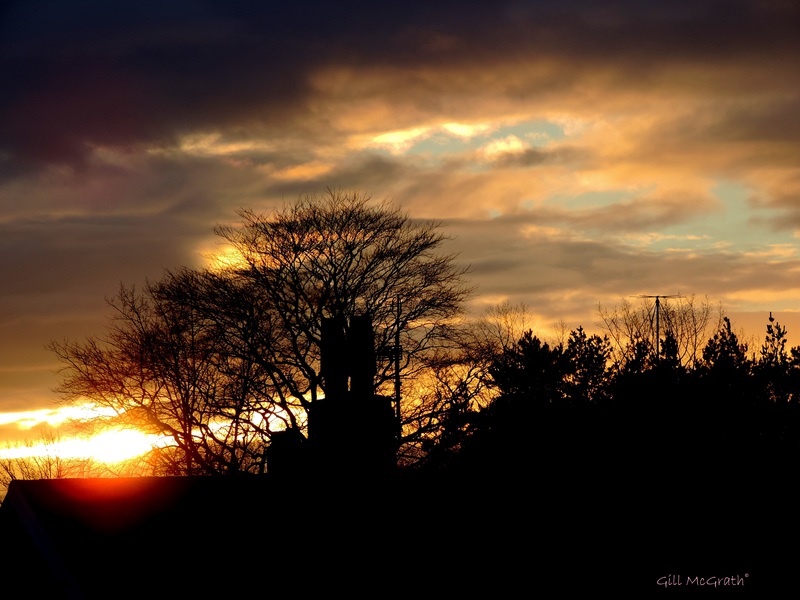 Beautiful sunset shot … we didn’t get another snow flurry here. Do you think it will snow later ? Its pretty cold. It was quite a flurry here earlier. …. I just checked accuweather, which I find pretty reliable for this area. Going to be -4 tonight – maybe too cold to snow, but I wouldn’t rule it out. Met office says heaviest snow in UK comes between 0 and minus 2, with cold ground. All are so beautiful Gill!!! I wonder where the birds find shelter when it snows…. our Southern California birds don’t know how lucky they are. Lovely photos.